Sabre Corp., the travel software and data company that operates Travelocity, is having a relatively strong start on the stock market today with shares rising in the first few minutes of trade. 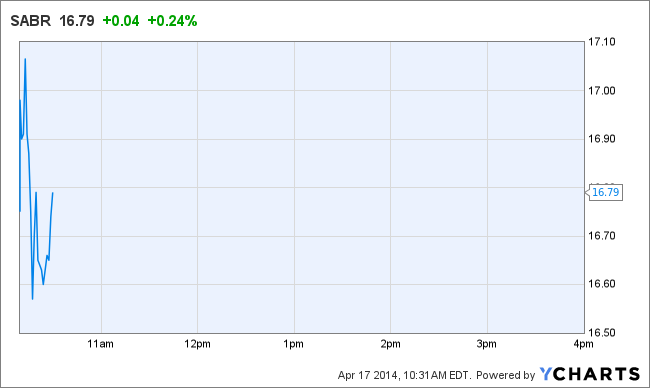 The stock, priced at $16 a piece on Wednesday, is now up 6.6 percent to $17.06. The company priced its initial public offering at $16 a share, below the expected range of $18 to $20.